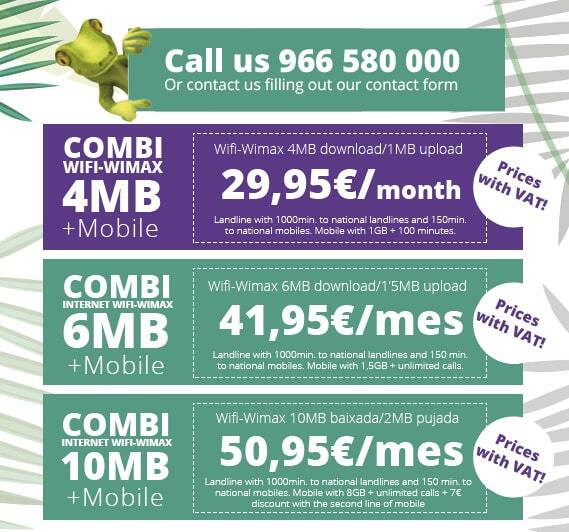 MOBILE RATES WITH NO LIMITS! Choose the best mobile data rate plan for you. At Dragonet we know that not all the people surf at the same speed, some need a faster internet date rate and other only need to surf a few hours along the day. We think in all our costumers, that why we offer you different products that can cover your conexión needs. – Voice rates identified as unlimited include up to 1.000 minutes per month of calls to national landlines or mobiles, and a limit up to 120 different destinations per month. Once any of these limits have been exceeded, the remaining calls will be invoiced according to the standard price for call duration. – Dragonet Comunicaciones services are incompatible with making calls and SMS from devices other than mobile phones, such as routers or mass calling devices. – If the rate includes a monthly data bonus, once this is exceeded, you can continue browsing at the maximum speed at the standard data price, up to a maximum excess of 1Gb. Up to 150 different destinations. Extra package with 240 minutes of international calls. These are the countries where you can phone: Germany, United Kingdom, Denmark, Finland, Greece, France, Ireland, Iceland, the Netherlands, Sweden, United States of America and Canada.